This course is self-paced with an expected completion time frame of up to 6 weeks. This course must be completed in sequence and each presentation must be viewed in entirety to progress to the next section. Once a section is complete participants can return to the previous section. Once registered for the course, access this course within your MY DASHBOARD. You can pause at any point during the course and you can return right where you last left off. Simply select the presentation you were last viewing and you will be prompted to select if you wish to start where you left off. For additional tips for success, watch the Course Tutorial Video preceding the Welcome Presentation. Additional course resources are available within the Resources tab and within the Contents tab course sections. For ForestEd questions, visit FAQs, email cf@safnet.org, or watch the Course Tutorial within the Contents tab. 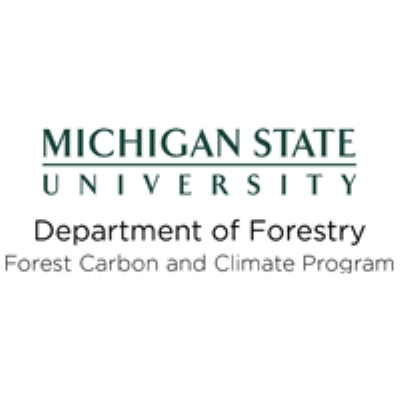 For questions about this course's content email forestc@msu.edu. For technical assistance, go to help.commpartners.com for self troubleshooting and/or live chat, or you can email help@commpartners.com. 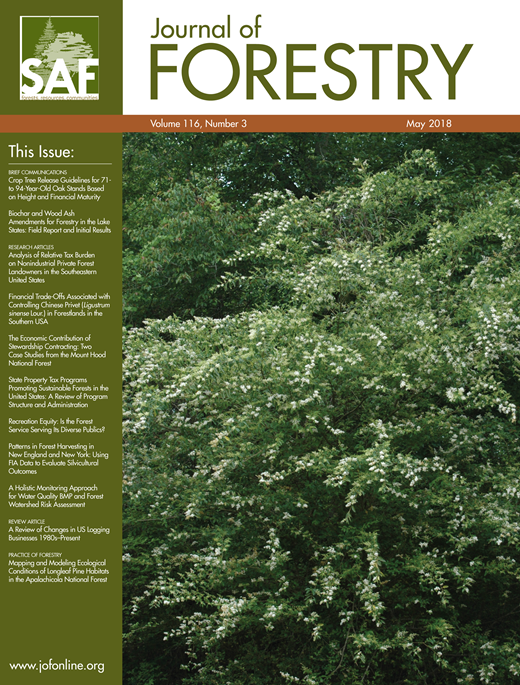 Read the Journal of Forestry March 2019 issue and complete the 10-question quiz. Earn 4.0 Category 1 CFEs when you pass the quiz with a score of at least 70%. Earned CFEs will be added to your record shortly after you pass the quiz. OPTIONAL: Downloadable quiz is available within the Handouts Tab. Either register for and complete the quiz online here at ForestEd for instant results, or submit the completed downloaded quiz and payment to SAF. Read theJournal of Forestry May 2018 issue and complete the 16-question quiz. Earn 6.0 Category 1 CFEs when you pass the quiz with a score of at least 70%. Earned CFEs will be added to your record shortly after you pass the quiz. 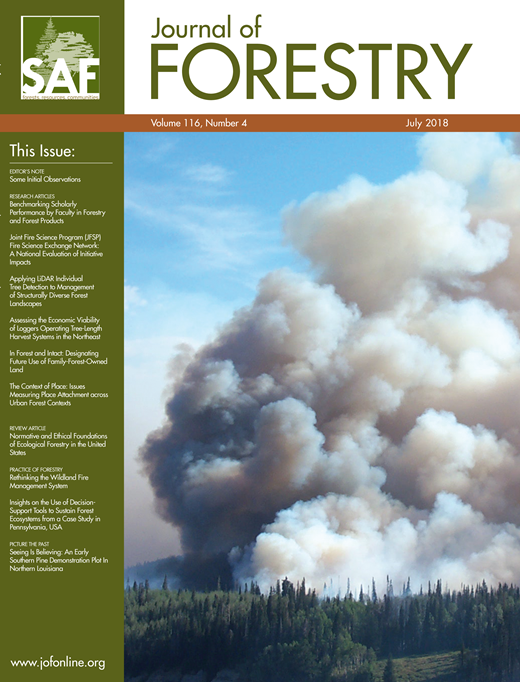 Read the Journal of Forestry July 2018 issue and complete the 16-question quiz. Earn 5.5 Category 1 CFEs when you pass the quiz with a score of at least 70%. Earned CFEs will be added to your record shortly after you pass the quiz. 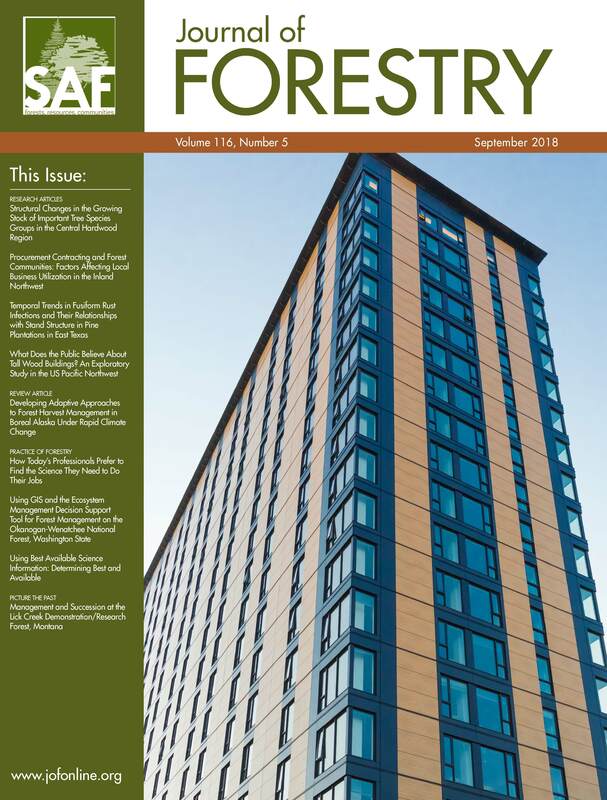 Read the Journal of Forestry September 2018 issue and complete the 16-question quiz. Earn 6.0 Category 1 CFEs when you pass the quiz with a score of at least 70%. Earned CFEs will be added to your record shortly after you pass the quiz. 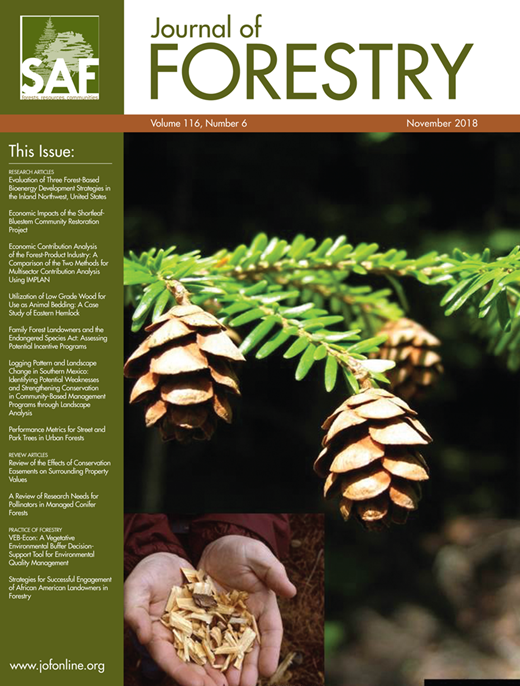 Read the Journal of Forestry November 2018 issue and complete the 16-question quiz. Earn 9.0 Category 1 CFEs when you pass the quiz with a score of at least 70%. Earned CFEs will be added to your record shortly after you pass the quiz. 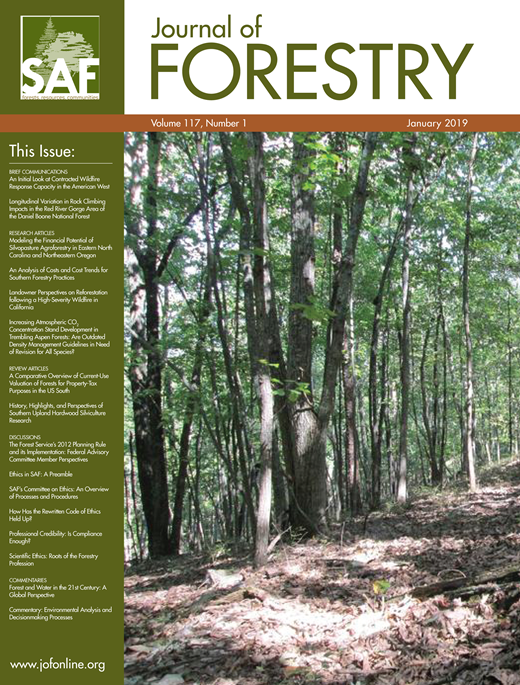 Read the Journal of Forestry January 2019 issue and complete the 10-question quiz. Earn 4.0 Category 1 CFEs when you pass the quiz with a score of at least 70%. Earned CFEs will be added to your record shortly after you pass the quiz. Increasing Atmospheric CO₂ Concentration Alters Stand Development in Trembling Aspen Forests: Are Outdated Density Management Guidelines in Need of Revision for All Species?